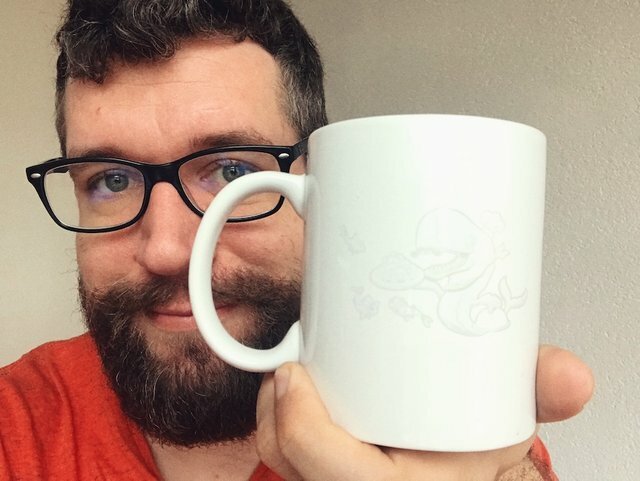 Is there still a store that sells Steem Mugs? In September of 2017 I ordered this awesome mug from Steemporium (It seems to be offline now). It had some awesome graphics from @overkillcoin on it and I wanted to support the store. The mug was great when it arrived, and still is great today. Some mugs just have that perfect weight, to volume to handle ratio. It's my go to cup (when it's not in the washer). Sadly as you can see the graphics have faded over time. The Glorious cup when it arrived! 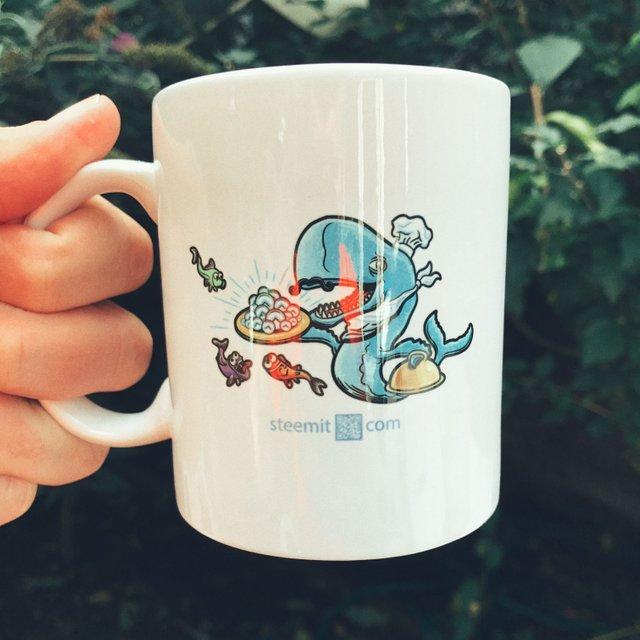 Anybody know of a Store that is still selling Steem mugs? I am part of witness @blockbrothers. We are the creators of Steemify a notification app for your Steemit account for iOS. I am interested! Let me know more! You can find me on discord, or comment here! Thanks! I have yet to see two of the same mugs from your collection! Must be a large collection! I'm pretty sure that the Steem logo can be used freely by anyone, so everyone that wants to could probably create their own design based on Steem and sell it in an online store. Wow, when you say you drink a lot of coffee, it is for real. I don´t think I have ever had a mug going white like that. I think there are a lot of places that sell custom mugs if you can find the graphic that you want them to put on it. It probably won't be hand made like the one that you got and I can't guarantee the ratio and feel will be right, but you should check it out online. I am sorry that you favorite seems to be fading! You can buy something called transfer paper, print whatever you like on it, follow instructions to put on mug. Fun event for everyone. Wow! Learn something new everyday! Thanks! Haha I totally related on that point too! Finding the right mug can be hard. Good luck on your Steem mug search! Was Steemporium the official Steemit store that was active a while back? I have been looking for that store for a little while myself. No it was a store owned by Steemian @jonny-clearwater. Ah, I see. It's unfortunate that both privately owned and Steemit's store have been discontinued. But I guess it's a consequence of lower value of crypto - I for one tend to buy a lot less things with my crypto now that a coffee mug would cost something like 60-70 STEEM instead of 3-5 STEEM during the ATH values. So I would assume that stores that sell crypto goods don't do very well these days. Well if you just turn fiat in crypto then it is good right? Yes, that's true. I guess my point was that a lot of people were much more willing to spend money back when "everyone was rich" during the ATHs. Like for me personally, I would easily spend $50 in crypto on a t-shirt of a coffee mug back when each post I wrote made $30+, but now that same purchase would require a lot of effort from posting. But yes, this is not really relevant for people who are actively buying crypto for fiat. You just got a 19.54% upvote from SteemPlus! Whenever I see cups, I'm visualized by you.